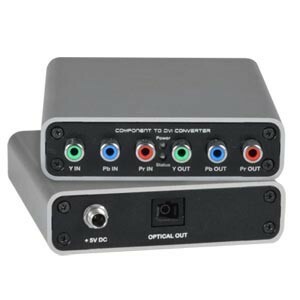 The Converter/Extender system has two components: the component video converter/transmitter, which connects to the component video source and also supplies video to a local component video display, and a ST-1FODVI-R-SC500M receiver that connects to a remote DVI monitor. The units are interconnected by a single-strand multimode SC fiber optic cable. Convert a video source with component video signal to an digital DVI signal. Signal transmission via a single-strand (simplex) multimode (50-micron or 62.5 micron) SC fiber optic cable - no RF interference. Supports resolutions to 1080p (1920x1080). Three female RCA connectors for component video input. 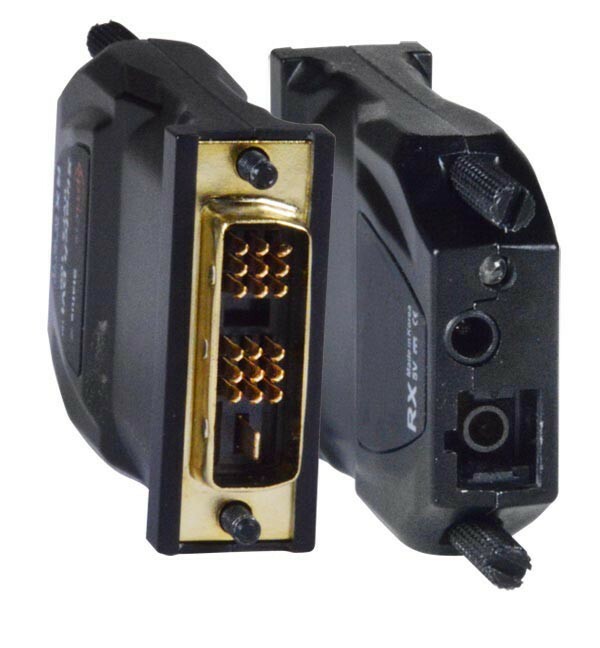 Three female RCA connectors for component video output.